Tom Brady has won an unprecedented four Super Bowl MVP awards. He’s a two-time NFL MVP. No other quarterback owns five Super Bowl rings. And now the New England Patriots star is the first player to be twice voted No. 1 by his peers on NFL Network’s annual Top 100 list. 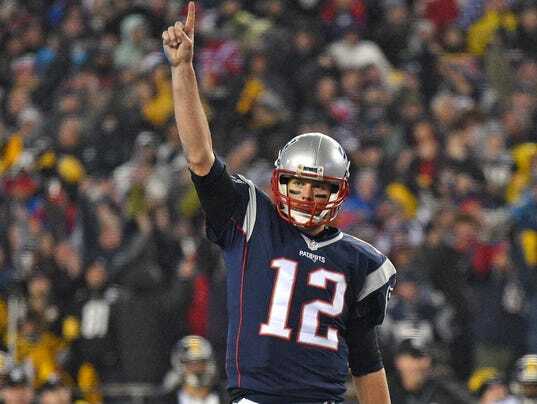 Monday night, Brady was revealed atop The Top 100 Players of 2017, a list solely calculated from the votes of active players and seeking to project who will be the best performers of the upcoming season while honoring players’ past accomplishments. The honorific comes after a season that Brady began with a four-game suspension for his alleged role in the Deflategate scandal but ended with him leading the Patriots back from a 25-point second-half deficit in Super Bowl LI to become the first team to win the game in overtime. Brady also topped the inaugural Top 100 list in 2011 and has never ranked outside the top five.